Listen to flyaway[Tales of]Remix on Youtube! With thanks to soulsteelgray on the Jpopmusic forums for the news, you can now listen to flyaway[Tales of]Remix on Youtube courtesy of moyu27! To provide some background: flyaway[Tales of]Remix is an extended remix of the title track from the single flyaway, and features the seiyuu of one of the main characters in the game, Kanonno Earhart, who is voiced by Ito Kanae (伊藤かな恵) and the bgm (background music) from the battle scenes of the Tales of the World:Radiant Mythology 2 game, although – with thanks to Sok for the info – it does include music from an earlier game in the series. 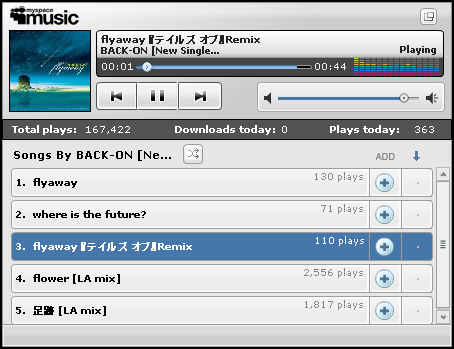 Listen to the preview of “flyaway” on BACK-ON’s official Myspace! The news flow has really been non-stop these past few days! Just a little earlier, Sesshy posted the breaking news on our dedicated flyaway forum thread (and on the newly revamped Sound Ex!) that BACK-ON have posted preview clips of songs from their forthcoming new single flyaway on their official Myspace! To summarise, flyaway is just as good as we expected from the original 30 second preview of the song; where is the future? seems reminiscent of one of BACK-ON’s previous title songs flower, but the biggest (and best) surprise imho is probably flyaway 『テイルズ オブ』Remix or flyaway [Tales of] Remix! For fans of dance or game background music, this is a must listen, but the preview is alas so very short! Teeda‘s voice is electronically altered, and with thanks to BOO forum member Sok for this information, apparently the singer of the main chorus (at least in this preview clip) is the female seiyuu of Kanonno, the main character in the Tales of the World: Radiant Mythology 2 series! In addition to clips of the 3 songs (sadly missing Re:Start) BACK-ON have also posted a much longer video clip of the flyaway PV on their official Myspace as well! :) I think it is pretty safe to say that everyone on the Forums who has seen the PV preview so far likes it. watch the PV preview on BACK-ON’s Myspace by clicking here! 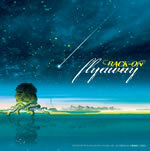 back-on, flyaway, flyaway (Tales of) Remix, flyaway (Tales) Remix, flyaway 『テイルズ オブ』Remix, flyaway pv, flyaway[Tales of]Remix, kannono, Kanonno, Kanonno earhart, myspace, radiant mythology 2, Re:Start, sesshy, sok, tales of the world, TOW:RM2, where is the future? Watch the 30 second preview of “flyaway” on Youtube! Following on from our previous post about the new single flyaway, we discovered (via Yuki on the BOO Forums) that BACK-ON had changed the video on the front page of their official website to feature a 30-second preview of the title track “flyaway“! It appears to be a TV ‘spot’ ad that is currently playing to people across Japan (we hope!) to promote the new single, but the video was quite small, although we were all very excited to hear a clip of the chorus. However, in the meantime, it turns out that AbyssalChronicles has actually uploaded this clip for everyone to watch on Youtube! Click on the link below to ‘watch it in high quality’ directly on Youtube! Alternatively you can still watch the ‘normal’ version at the end of this post. For the sake of better graphics in particular, I would really recommend watching it on Youtube directly! Hope you all enjoy watching the preview! :) Like some others, I am very excited by how good the songs sounds from the clip, and aside from the surprise that the lyrics for the single might already be available online, I can’t wait till we hear the song in full! 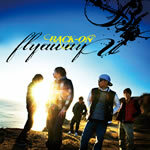 BACK-ON’s new single “flyaway” CD covers and Tracklisting confirmed! This major news update comes courtesy of Sesshy who recently became head admin of Sound-Ex and arrives with plenty of images, including brand new group and individual photos on BACK-ON’s official website as well as the tracklistings and new CD covers for both editions of the CD! I would have to agree wholeheartedly with the latter statement, especially as I also love the covers too (why are the images so tantalisingly small!?) and I am sure you feel the same too (especially fans of the PSP series: Tales of the World – if you weren’t already aware of the news, BACK-ON is writing the OP and ED theme music for the brand new game Tales of the World: Radiant Mythology 2) although if I were to really ‘look’ for any similarities to BACK-ON‘s previous CD cover designs, I would say that the cursive writing reminds me of Chain, one of BACK-ON‘s earliest singles, which features that nice italic-cursive-style as well. Anyway, before I digress further, let us move on to the tracklisting. The question we were all (at least several of us?) dying to know was whether the limited/Tales edition of the CD would include anything extra – Chain, for instance, did not – but as the official BACK-ON website confirmed (screenshot), there is an additional track called: flyaway 『テイルズ オブ』Remix or flyaway (Tales of) Remix! Add new tag, テイルズ オブ ザ ワールド レディアントマイソロジー2, back-on, back-on.com, chain, ctcr-40285, ctcr-40286, flyaway, flyaway (Tales of) Remix, flyaway (Tales) Remix, flyaway 『テイルズ オブ』Remix, limited edition, namco bandai, op, Re:Start, rm2, sesshy, single, sound-ex, tales of the world radiant mythology 2, TOW:RM2, tracklisting, where is the future?